Getting in touch with your valuable customers is a must to do thing for all the store owners out there. Be it a contact form, customer registration or order placement, the customer would like to get notified by email just for the sake of confirming thing that they have done on the website. Be it a store owner or a developer, configuring email addresses is a must to do in the checklist before going live. As a responsible store owner, it is always suggested to create meaningful email addresses so that your customers wouldn’t get baffled looking at the email address. 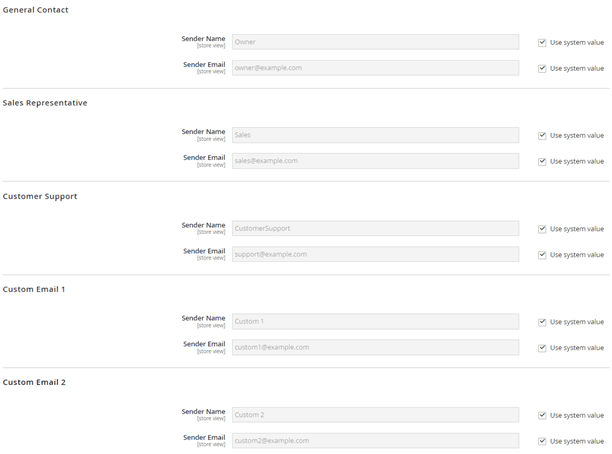 Create separate email addresses for each of the service or requirements. Having such different emails for different purposes would not only help you organize emails but you would also not miss out any emails. If you are going to receive all the emails to one single email addresses, then there are chances that you might miss out an email in the crowd. 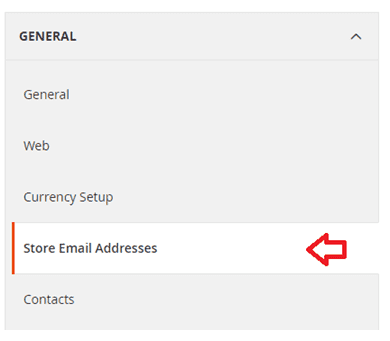 Step 2: Click on Store Email Addresses under General tab. 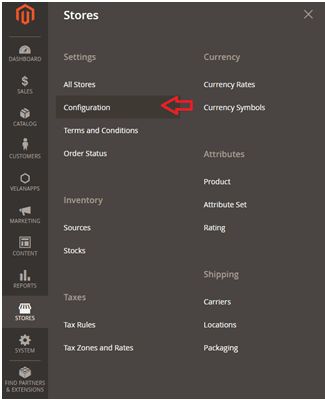 Step 3: Now open up each of the section and specify the values as needed. Each section has two fields. Sender Name and Sender Email. Specify the person name or the department name so that your customer would get notified the same. Also specify the appropriate email address. 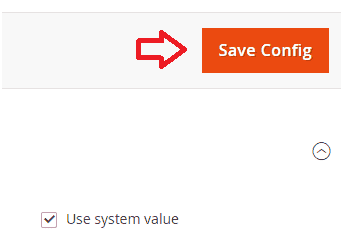 Once you have specified the values for each of the sections, click on the Save Config button.